It’s Fiber Monday in Austin! our plans to build in Austin, the city has embraced the possibilities that will come from Internet that's up to 100 times faster than today's basic speeds. Today we’re kicking off Google Fiber signups for Austinites, their neighbors, and local small businesses in the South and Southeast areas of the city. This is just the beginning. We’ll be opening new areas of the city for signups on an ongoing basis, and we hope to bring Fiber to every neighborhood in Austin that wants it. Whether you’re in a home, apartment, or a small business, you’ll notice that getting Google Fiber is a little different. We don’t choose which areas get Fiber — you and your neighbors do. Last year I shared an early look at how this will work; now you’ll be able to see this process live so that you know how many more people need to sign up in order to bring Fiber to your neighborhood. For Austinites in neighborhoods (or ‘fiberhoods’ as we call them) that are open for signups, you can choose one of three Google Fiber plans. Small businesses in the same group of fiberhoods can sign up for up to gigabit speeds for $100 per month through the Early Access Program for Google Fiber for Small Business. Austin is already booming with ambitious and creative entrepreneurs, and we can’t wait to see what small businesses do with Fiber. Keep in mind: you’ll have a limited window of time to sign up. We do this so that we can bring you Google Fiber as quickly as possible. We focus our efforts on one neighborhood at a time, doing an all-out installation blitz if your fiberhood meets its signup goal. After we’re finished in your fiberhood, we’ll move on to the next. Be sure to check your sign up deadline so you don’t miss us when we’re in your part of town. 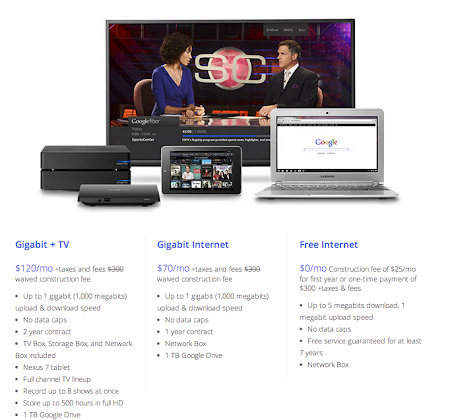 Want to learn more about Google Fiber? Today we’re opening our Fiber Space in downtown Austin. Drop by and take Google Fiber for a spin, sign up for service, and see firsthand why speed matters. The Fiber Space is also a gathering place for the Austin community, so be sure to check out the schedule of events happening this month. Thanks for having us, Austin. We've already heard from many of you what you would do with super fast Internet speeds — we’re excited for all of these possibilities and more. We look forward to seeing you around town. Access to abundant, super fast Internet can open up new opportunity for communities — and from the day we announced our plans to build in Austin, the city has embraced the possibilities that will come from Internet that's up to 100 times faster than today's basic speeds. 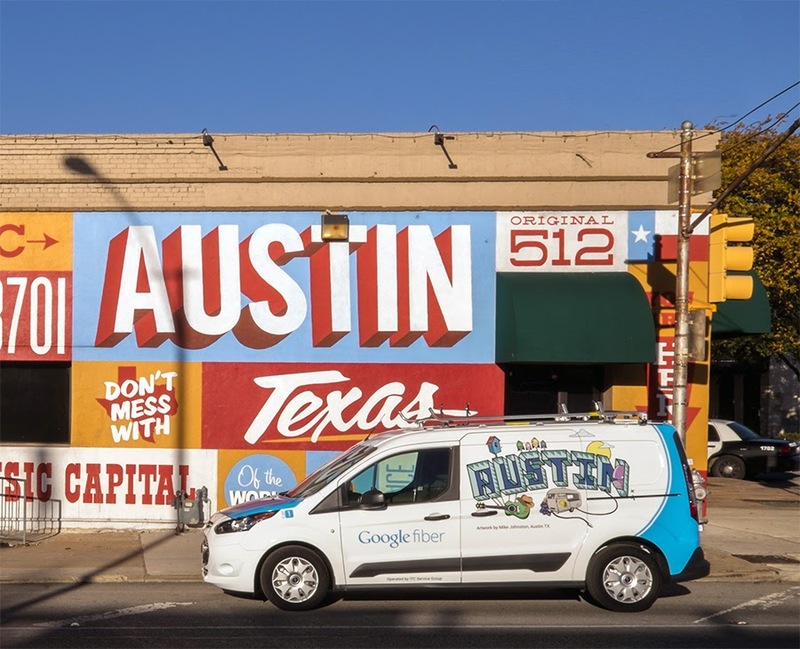 Today we’re kicking off Google Fiber signups for Austinites, their neighbors, and local small businesses in the South and Southeast areas of the city. This is just the beginning. We’ll be opening new areas of the city for signups on an ongoing basis, and we hope to bring Fiber to every neighborhood in Austin that wants it. 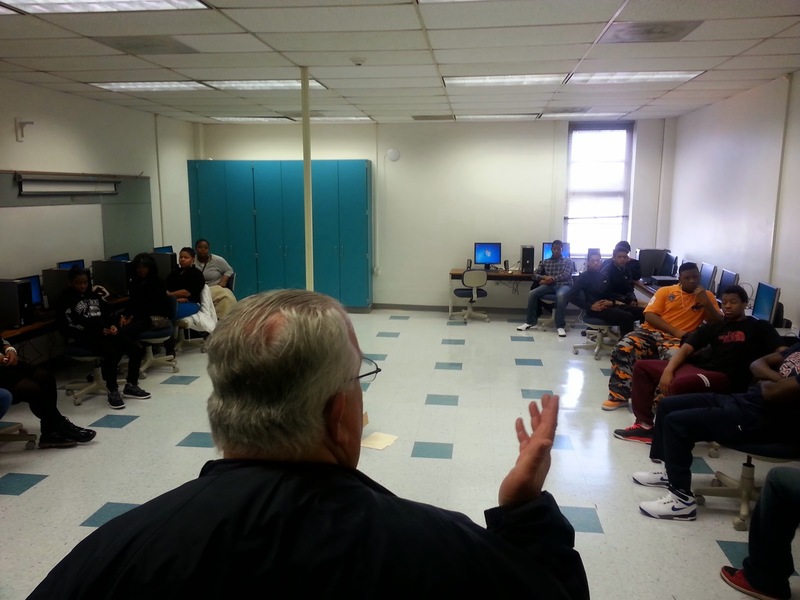 , a local nonprofit, to provide digital literacy training in HACA properties. Along with the contributions of dozens of other partners — foundations, corporations, educational institutions — this support can advance HACA’s vision to bring more of its residents online. Google Fiber is making a long-term investment in each city where we build — including Austin, where digital inclusion is a citywide priority. Here and in any city, our approach is shaped by potential partners, the cues of local leaders, and the unique needs of residents. Unlocking the Connection is the result of the collaboration and commitment of the Austin community — it’s driven by HACA’s vision, supported by local leaders, and engages the talents of community organizations. We’re proud to work hand-in-hand with all of these partners to help create a more connected Austin. For Austin's public housing residents, access to the Internet can mean the difference between keeping up or falling behind. It can mean more resident children using computers in after-school programs and robotics clubs, more students using a home computer to finish their homework as their peers do, more working adults completing online GED training modules at home, and more seniors participating in basic computer skills workshops. That’s why today, the Housing Authority of the City of Austin (HACA) is launching Unlocking the Connection, a homegrown Austin initiative to help close the digital divide for the 4,300 people who live in public housing. Unlocking the Connection addresses the full set of resources needed to make the Web more available and relevant to Austinites who aren’t online today — an affordable Internet connection, access to devices, basic computer skills training, and opportunities to better understand how they can use the Web in their daily lives. HACA has brought together more than 20 national and local partners, including Google Fiber, to play a role in the program. We started talking with HACA after the City of Austin selected its Booker T. Washington training center as a site to receive Google Fiber as part of our Community Connections program. That conversation, and the many that followed, demonstrated that HACA had an ambitious vision for a digital inclusion program — one that was deeply rooted in the often complex reasons that people weren’t yet online — and that there was a natural way that Google Fiber could help. Google Fiber will bring state of the art infrastructure to Austin's public housing; we will provide a free fiber connection to any existing HACA property in a neighborhood that meets its signup goal to get Google Fiber. If a family in one of these properties signs up for our Basic Service, they get an in-home Internet connection at today’s basic broadband speeds, free for ten years after construction, They can also upgrade and pay for gigabit speeds anytime. In addition, we’re providing computers to HACA education and training centers, as well as funding Austin Free-Net, a local nonprofit, to provide digital literacy training in HACA properties. Along with the contributions of dozens of other partners — foundations, corporations, educational institutions — this support can advance HACA’s vision to bring more of its residents online. that they want Google Fiber to help them move faster, work better together, reach new parts of the world without boarding a plane, and save time for the important things—like growing their business. Now we’re taking another step to speed up the Internet for small businesses—today, we’re kicking off an Early Access Program for Google Fiber for Small Business in select areas of central Kansas City. And whether a business uses their connection to move to the cloud, get closer to customers on Hangouts, or bring more transactions online, we’re excited to see what happens when Kansas City businesses say farewell to slow speeds and hello to all the tools and technologies that they need to grow. The Early Access Program is available today in a handful of fiberhoods in Kansas City, KS and Kansas City, MO. Small businesses in these areas can sign up for a gigabit Internet connection and be among the very first businesses to get Google Fiber. Though not all areas of central Kansas City are open for signups just yet, we’ll keep you posted as we expand. Small businesses can visit our website to get more details, register for email updates, and be the first to know when they can sign up. Earlier this year, we started a pilot in Kansas City to learn more about what business owners need. We heard from documentary filmmakers, flower shops, web development agencies, and more. All of these small businesses have a lot of ideas on how a faster Internet connection could speed up their entire business — we can’t wait to see what they do with Google Fiber. We know that small businesses play a big part in Provo and Austin, too. And while we don’t have specific plans for small businesses in other cities right now, we’ll be sure to share updates when we can. A super-fast Internet connection can have a big impact on unlocking new possibilities for small businesses. From the start, small business owners have told us that they want Google Fiber to help them move faster, work better together, reach new parts of the world without boarding a plane, and save time for the important things—like growing their business. Kansas City: Now Home to the Fastest Starbucks Wi-Fi in the U.S.
is teeming with people writing emails, streaming music, sharing videos, and more. Now that same Starbucks—one of the busiest in Kansas City—is the first to be connected directly to Google Fiber, so anyone visiting the store can get super-fast Internet with their Pumpkin Spice Latte. 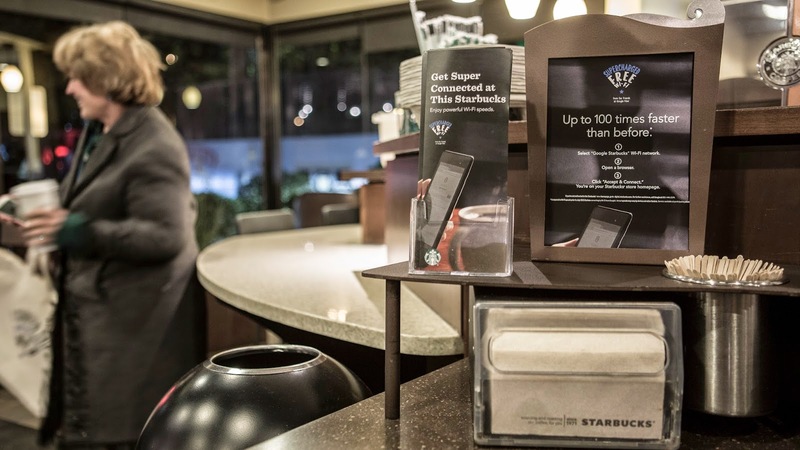 Kansas City now has the fastest Wi-Fi at any Starbucks in the U.S.
At this Starbucks, visitors can connect to supercharged Wi-Fi through their wireless devices, so they can skim the morning headlines while they order or enjoy a cup of joe. There are also new community tables, which have Chromebooks wired directly to Google Fiber, as well as built-in wireless charging technology to power up devices. With these new connections, there’s plenty of bandwidth for everyone to search, stream, and share—without the loading bars or buffering. Along with fast Internet for the whole community, this store features a digital take on the Starbucks community board, so anyone can find and share local news, upcoming events, special offers and more. If you live nearby or are passing through town, be sure to swing by 41st and Main Street and check it out. This isn’t the first time Google and Starbucks have teamed up to bring high-quality Wi-Fi to Starbucks patrons. Last year, Google and Starbucks announced a new effort to bring speedy Wi-Fi access to 7,000 Starbucks stores across the U.S—we’re well on our way, with more than half of locations connected. Connecting this Kansas City Starbucks to Google Fiber is a next step to bring more people an extra shot of Internet speed. At the corner of 41st and Main Street, a Kansas City Starbucks is teeming with people writing emails, streaming music, sharing videos, and more. Now that same Starbucks—one of the busiest in Kansas City—is the first to be connected directly to Google Fiber, so anyone visiting the store can get super-fast Internet with their Pumpkin Spice Latte. Because of the Internet, we have access to more information than at any other time in history. With a few clicks, we can find answers to simple questions (“how to boil an egg”) or explore complicated topics (“Is Pluto a planet?”). And more than ever, the Internet connects us to opportunity — it’s where we go to prepare homework assignments, apply to college, or look for a job. But with roughly 60 million people not yet using the Internet, the U.S. still has a long way to go before everyone is connected. Unfortunately, while the effects of this digital divide are easy to see, the solutions are less obvious. This is a long-term, complex problem — and creating change requires time, a sustained commitment, and close collaboration with local partners who can make progress day by day. When people are asked why they don’t have the Internet, they cite reasons you’d expect, such as cost (19% of non-Internet users). But research also shows that 34% of people who don’t use the Internet don’t yet see it as relevant to their lives, and 32% cite usability as an obstacle. The good news is that cities, community organizations, and Internet service providers like Google Fiber are working to address these issues by making digital inclusion a local priority, finding new ways to collaborate, and meeting non-Internet users where they are. My team and I recently visited all nine of the metro areas where we are considering expanding Google Fiber. Well before the first fiber is laid, we wanted to meet with city and community leaders to start exploring how we can work together to connect more people. So much of what we heard and saw was inspiring: an “Anytime Access for All” initiative in Nashville; Avenida Guadalupe’s computer basics classes in San Antonio; and CFY Atlanta’s Digital Learning Program are just a few examples. Google Fiber offers people one of the most affordable ways to get online, and it’s available to anyone in a fiberhood who wants it — regardless of income. In existing markets, we offer a connection to basic Internet speeds for just a $300 construction fee (or $25/month for 12 months). Homes then get free Internet for seven years, which comes out to a savings of about $900 over seven years compared to other basic offerings. For people in apartment buildings whose landlords sign up for Fiber, the service is completely free. Importantly, Fiber helps people “future-proof” their home Internet — anyone who signs up for our basic service can switch up to gigabit speeds anytime. For many people, public computing centers and community organizations serve as the on-ramp to the Internet. We’re hooking up hundreds of neighborhood institutions through our Community Connections program so people in Google Fiber cities have a place where they can get access to gigabit speeds, even if they don’t yet want the Internet at home. Our rally model, which asks fiberhoods to come together to meet a registration goal for Fiber, sends us out into communities to talk one-on-one with people about how the Internet can be useful in their daily lives. In Kansas City’s Blue Hills neighborhood, Google Fiber and neighbors came together to rally for Fiber in 2012. Recently in Provo, we partnered with the United Way to spread the word in low-income areas and encourage people to sign up. National broadband experts say this hyper-local outreach is helping to spur demand and interest in the Internet. Working with partners, we create programs that help people learn how to do things like power on a computer, use a search engine, or open an email account. For example, in Kansas City, Provo and Austin, we’re working with local universities to build teams of digital literacy trainers through our Community Leaders Program. We recruit and train college students, then match them with local organizations to run digital literacy programs in the community. And in Kansas City, Google joined local companies to help launch the Digital Inclusion Fund to support local nonprofits and community organizations that are helping people take full advantage of the Internet. Google Fiber started with a goal to make the Web faster — for everyone. We also have a goal to make it more affordable, more relevant, and more useful. It takes a lot more than wires to bridge the digital divide, and we can’t do it alone. We don’t expect to. Instead, we’re working alongside partners to chip away at the problem and get more people connected. PS — We're looking for Community Impact Managers now in a number of cities. Interested? Find more info here. Ed note: In this installment of our Google Fiber Behind the Scenes series, Erica Swanson, head of community impact programs for Google Fiber, shares what she‘s learned about the challenges that communities face in closing the digital divide, and what her team does to help. Since we don’t use any existing copper cables, we’ve been planning and designing our network from scratch. Today we have a detailed network plan in place and our crews are hard at work constructing the network, starting with the core infrastructure that will form the foundation of Google Fiber in Austin. Over time, our network will grow to thousands of miles of fiber, stretching through underground conduit as well as across utility poles. That’s why we have crews that specialize in both underground and aerial construction — here’s a peek at what they’re doing today. Our underground crews operate powerful drills that can tunnel through Austin’s limestone, guiding a bore head through the earth to create an underground path for our conduit, then running fiber through the conduit. While we wish we had x-ray vision (we're working on it! ), our crew members work hard as a team to avoid existing infrastructure and utilities, calling in “locates” with Texas 811 and using everything from detailed city diagrams to sonar detection to help. Meanwhile, aerial crews are doing work across thousands of Austin utility poles, reconfiguring communications and power lines to ensure we have room for our fiber. This work allows us to use existing infrastructure and avoid additional underground construction, which tends to be more disruptive to the community. Underground or in the air, pardon our dust — in order to bring Google Fiber to a city, a whole lot of heavy lifting has to happen! We are working to build our fiber network in Austin with as much efficiency and as little disruption as possible, but this size of a construction effort is bound to affect a few Austinites day-to-day. Longer term, we hope this infrastructure will play a big role in the city’s future. Gigabit Internet speeds will open up new possibilities for the way we use the Web, and Austin is well on its way to showing the world how it thinks big with a gig. Hey Austin, have you seen us around town lately? Our Google Fiber crews are now in the process of building a high-speed network that will one day include more than 3,000 miles of brand new, state-of-the-art fiber optic cables — enough to stretch across the longest Interstate highway in the U.S. (or from Boston to Seattle). While many people think of gigabit internet as essential to the future of the Web, others have wondered if these fiber networks just might be too fast, too soon. Based on early evidence of the economic impact of fiber-fed, gigabit services, we believe that the time for gigabit skepticism is over. Today the Fiber-to-the-Home Council Americas (FTTH Council) released a first-of-its-kind study — Early Evidence Suggests Gigabit Broadband Drives GDP — which looked at 55 communities in 9 states and found a positive impact on economic activity in the 14 communities where gigabit Internet services are widely available. In fact, these gigabit broadband communities exhibited a per capita GDP approximately 1.1 percent higher than the 41 similar communities with little to no availability of gigabit services. This may not sound like much but consider this: in dollar terms, our research suggests that the 14 gigabit broadband communities studied enjoyed approximately $1.4 billion in additional GDP when gigabit broadband became widely available. (That’s enough money to buy the Buffalo Bills — if you wanted to). The deployment of widespread ultra-high bandwidth broadband offers great promise for our economic future, similar to the way that access to abundant electricity transformed the country, lighting up factories to produce affordable consumer goods and automobiles for transportation. The availability of electricity spurred an era of high productivity and economic growth. And now, we are beginning to see that access to abundant bandwidth is likely to have a similarly positive impact on our economy. Widespread gigabit availability contributes to the economy in multiple ways. Investment in physical infrastructure and labor creates jobs and increases expenditures into inputs like electronics and fiber optic cable. But next generation broadband infrastructure can also shift economic activity, sparking local tech scenes and the relocation of businesses. Claris Networks moved its data center operations from Knoxville to Chattanooga to take advantage of its fiber network. Lafayette's network attracted Hollywood special effects company Pixel Magic to the community, because the high performance gigabit network lets Pixel Magic move computer files back and forth between Lafayette and California quickly. And from the Hacker House in Kansas City to Fargo’s Startup House in Fargo, North Dakota, local entrepreneurs are using gigabit networks to develop new applications and services, bringing in new investment and talent along the way. In the last several years, communities, their leaders and several private companies have made moves to stimulate and support our economy by upgrading our networks to gigabit capabilities. They, and we, remain gigabit enthusiasts, willing to welcome the skeptics to help us make gigabit communities a priority. Ed. Note: we’re often asked about the economic impact of fiber networks — what does a gig really do for a local economy? To help answer your questions, we have a guest post from Heather Burnett Gold, President of the Fiber to the Home Council Americas, and Dr. David Sosa, a Principal at the Analysis Group. Today they are sharing the findings of a first-of-its-kind research report on the economic impact of fiber-to-the-home networks in U.S. communities. Google Fiber joined the broader Provo community in an effort to shatter the official world record for the largest scavenger hunt, as determined by Guinness World Records. And shatter it the city did — the previous record of 924 is history, with a total of 2,079 “hunters” finishing the Passport to Provo challenge on Saturday, September 13. Along with Provo Mayor John Curtis, Downtown Provo and Cotopaxi (a local outdoor gear and apparel company), Google Fiber supported the event to help bring together thousands of Provoans to explore and celebrate their downtown. Under the watchful eye of Annie, our judge from Guinness World Records, teams of hunters — groups of families, friends and students — filled Provo streets, businesses, nonprofit organizations, community parks and historical landmarks to complete the challenge. Hunters completed at least 15 tasks from categories such as Downtown Culture, Quirky and Fun, Outdoor and Adventure, Community Service and Local Business. The event ended with a party with performances by local Provo talent. Watch this video to see all the fun and don’t forget: this week is the last chance for anyone in a Provo fiberhood to get Fiber for $30 — sign up by September 20th. After this wave of sign-ups and installations, our construction fee will increase from $30 to its usual $300 at our next sign-up opportunity. Kissing puppies and llamas, painting bricks for a local art project, shooting free throws at the rec center, donating canned goods, and performing on a karaoke stage: all of this (and much more!) was part of a historic day this past weekend in Provo, Utah. and enter your address. If you’re eligible in this round of sign-ups, you’ll be able to select which Fiber package you want. Remember, you’ll only be able to sign-up for a limited time — from now until September 12th — so make sure you choose your plan sooner rather than later. This will help us to get installations started as quickly as possible. We’re also giving residents in our original group of qualified fiberhoods — in Kansas City, Kan. and Central Kansas City, Mo. — another chance to sign-up for service. Between now and August 7th, you can go to our website and select your Fiber package. Summer Block Party - Join us for some family fun in the sun outside the Fiber Space. From face painting to cotton candy, we'll have something for everyone. Happy hour with Google Fiber - Enjoy a drink or two on us, plus appetizers and live music by Heather Thornton as we toast to gigabit speeds and summertime fun. Google Fiber Birthday Celebration - Google Fiber is turning 2, and we want to celebrate with you! Bring your family for face painting, cotton candy, cupcakes, tunes by DJ Robert DeGeorge, and more. Fiber Space Saturday - We're kicking off the weekend with activities for the whole family at the Fiber Space. From face painting to music by DJ Shaun Flo, we'll have something for everyone. Despite this sticky midwest summer, our Fiber construction and installation crews are making good progress here in KC. We’ve completed over 7,000 miles of construction, recently started installing service for new customers in and around the northern and southern parts of Kansas City — and now we’re ready to keep rolling out into the surrounding Johnson County area! Starting today, residents in Westwood, Westwood Hills, Mission Woods and Roeland Park can start signing up for Google Fiber. To see whether your home is in one of these areas, go to our website at google.com/fiber and enter your address. If you’re eligible in this round of sign-ups, you’ll be able to select which Fiber package you want. Remember, you’ll only be able to sign-up for a limited time — from now until September 12th — so make sure you choose your plan sooner rather than later. This will help us to get installations started as quickly as possible. to offer a fiber connection, plus our Free Internet plan, for $30 to everyone who signed up for our first wave of local installations. So far, many people have taken advantage of this. However, we’ve also heard from some of you who missed your deadline to get the $30 Fiber — you either moved to a new neighborhood, or you just didn’t know that you needed to sign up by a certain date — and you’ve asked us for another chance to get service. So from now until September 20th, we’re re-opening signups for Fiber; anyone in a Provo fiberhood can go to our website and sign up. This is the last chance to get Fiber for $30 — after this wave of sign-ups and installations, our construction fee will probably be closer to the same $300 that we charge in Kansas City. So, if you’re interested in getting Fiber, now’s the time to sign up! Have questions or want to learn more about Fiber? We’re going to be out and about throughout the community over the next few months and we’d love to chat with you or help you sign up! A hardcover book; a single lawn chair; half a tank of gas; a shirt... it turns out $30 can’t buy all that much these days. That’s why we were excited to offer residents fiber connections in their home, plus at least 7 years of free Internet, for just a $30 installation fee. Fiber actually costs quite a bit more than $30 to install in a home; in Kansas City, for example, we charge $300. But Provo was looking for a partner that would help keep their vision — affordable, high-speed service for residents — alive. So we promised to offer a fiber connection, plus our Free Internet plan, for $30 to everyone who signed up for our first wave of local installations. , and today we’ll hear about a Kansas City Public Library program that teaches digital media skills to local youth. Both Arts Tech and the Library’s new Digital Media Lab are supported in-part by the Kansas City Digital Inclusion Fund. The Fund has just announced an upcoming deadline for next year’s grant applications, so if your nonprofit is interested in learning more or applying, visit the Greater Kansas City Community Foundation’s website. When you think about libraries, you may think of books stacked on shelves and quiet spaces to work. You can definitely find those in the Kansas City Public Libraries; but for more than a decade, we have also been adding digital resources. There are hundreds of computers, usually packed with folks reading the news, checking their email, or looking for jobs. And each week, we offer classes on computer and Internet basics. We started these efforts in part to address the “digital divide” — 25 % of Kansas City residents do not have the Internet at home, others don’t use the web at all, and many who do have access are not sure how to use it to their best advantage. That is particularly true for youth. Often referred to as digital natives, they are not intimidated by technology. Yet we’ve seen that many teens either don’t have Internet access at home, or they have no idea how to translate their interest in digital media into personal and/or professional opportunities for growth. This lack of access and knowledge directly impacts their workforce readiness, since almost all jobs today require some level of expertise with digital resources. So we asked an advisory board of teens how we could help them and their peers learn more about digital technology. With their feedback, and with funding from the MacArthur Foundation and the Kansas City Digital Inclusion Fund, we built a new program — the Kansas City Digital Media Lab (KCDML). KCDML teaches teens high-tech digital skills, and provides them with resources and a platform to find their voice and share their stories. We opened KCDML at our North-East and Southeast library branches last month, and our teens dove right in. In their first project, they shot and edited personal videos using images they captured in the library. Next, they figured out how to use 3D printers to make Mother’s Day gifts. And in another project, we’ve started teaching teens how to code, focusing mostly on website development, game design, and app creation. (Did you know that the number of computer programming jobs in the U.S is expected to jump 30% from 2010 to 2020? Compare that to the average growth of all other U.S. jobs which is predicted to be just 14%. What a useful skill to pick up at your local library!). Working on these projects and playing with fancy tech gadgets is cool — but the real opportunity for teens is that they get to work with and learn from a great group of adult collaborators. Kansas City is an amazing intersection of tech and creativity. We are a growing tech hub, and businesses in the KC area employ over 34,000 “digital storytelling” jobs — which means that, in addition to our dedicated library staff, we have a number of professionals who are willing to share their expertise in storytelling, coding and more with our youth. Of course, while this opportunity for 1:1 learning is incredibly valuable, we also want the KCDML to be a place where teens can “geek out” and play on their own — spending time on what is most interesting to them. The idea of freedom within the space, and ownership over the instruction, is an important part of our lab. It gets noisy...It gets messy...But there is interest-based learning, project creation, and growth happening on every level. So far we have gotten great feedback from both the youth and the adults in the space, so we know we’re on the right track. Moving forward we’ll invite even more like-minded Kansas Citians to come out and be a part of the journey. We’ve got a lab, we’re going mobile, and we have a great group of participants and adult collaborators. We are looking forward to a summer full of noisy, geeky, excited exploration! Ed. Note: Every day, nonprofits and community leaders do inspiring work to help their neighbors build digital literacy skills, get access to affordable computers and more. From time to time, we’ll invite some of these organizations to share a bit about their work on our Google Fiber blog; a few weeks ago, we heard from Arts Tech, and today we’ll hear about a Kansas City Public Library program that teaches digital media skills to local youth. Both Arts Tech and the Library’s new Digital Media Lab are supported in-part by the Kansas City Digital Inclusion Fund. The Fund has just announced an upcoming deadline for next year’s grant applications, so if your nonprofit is interested in learning more or applying, visit the Greater Kansas City Community Foundation’s website. We’ve all had the moment where we scratch our heads and ask, “why is this video so slow?” Unfortunately, there’s no single answer to this question. Your video ‘packets’ of online bits and bytes have to travel a really long way, along several different networks, just to get to you, and they could be slowed down anywhere. So, because we know you want to stream videos and browse effortlessly, we’ve designed our network to minimize buffering. Like other Internet providers, Google Fiber provides the ‘last-mile’ Internet connection to your home. Meanwhile, content providers spend a lot of money (many billions of dollars) building their own networks to transport their content all the way to those ‘last-mile’ connections. In that process, the content may run into bottlenecks — if the connections between the content provider and our network are slow or congested, that will slow down your access to content, no matter how fast your connection is. So that your video doesn’t get caught up in this possible congestion, we invite content providers to hook up their networks directly to ours. This is called ‘peering,’ and it gives you a more direct connection to the content that you want. We have also worked with services like Netflix so that they can ‘colocate’ their equipment in our Fiber facilities. What does that mean for you? Usually, when you go to Netflix and click on the video that you want to watch, your request needs to travel to and from the closest Netflix data center, which might be a roundtrip of hundreds or thousands of miles. Instead, Netflix has placed their own servers within our facilities (in the same place where we keep our own video-on-demand content). Because the servers are closer to where you live, your content will get to you faster and should be a higher quality. We give companies like Netflix and Akamai free access to space and power in our facilities and they provide their own content servers. We don’t make money from peering or colocation; since people usually only stream one video at a time, video traffic doesn’t bog down or change the way we manage our network in any meaningful way — so why not help enable it? But we also don’t charge because it’s really a win-win-win situation. It’s good for content providers because they can deliver really high-quality streaming video to their customers. For example, because Netflix colocated their servers along our network, their customers can access full 1080p HD and, for those who own a 4K TV, Netflix in Ultra HD 4K. It’s good for us because it saves us money (it’s easier to transport video traffic from a local server than it is to transport it thousands of miles). But most importantly, we do this because it gives Fiber users the fastest, most direct route to their content. That way, you can access your favorite shows faster. All-in-all, these arrangements help you experience the best access to content on the Internet — which is the whole point of getting Fiber to begin with! Ed Note: Nobody likes buffering. So we’re trying to reduce it for our Google Fiber customers. Here’s another installment in our “Fiber Behind the Scenes” series, with a look at how we work to get your content to you as quickly as possible. 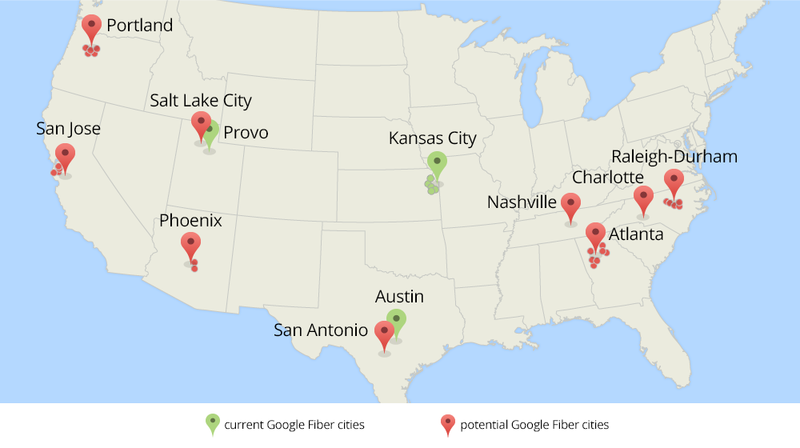 , we started working side-by-side with 34 cities in nine U.S. metro areas to explore what it would take to bring Google Fiber to their communities. Each city has been busy tackling a checklist of items to help prepare for a big local fiber construction project. We’ve been impressed by the enthusiasm and engagement of every one of these cities, and all of them have, for the most part, completed their checklists. We say “for the most part” because there’s still a lot of work to do over the next few months. We’ll start by working with cities to tie up some checklist-related loose ends. For example, we worked with city staffers to draft agreements that would let us place fiber huts on city land; several city councils still need to approve these agreements. We may spend some time working together to figure out an ideal permitting process that would be fast and efficient. And, as we review the information that cities have already provided, like infrastructure maps, we’ll probably have a lot of follow-up questions. After all of these steps, we’ll start drawing up construction blueprints for local fiber networks. These detailed designs will help us see how complex it would be to build in each city, and will be used as we make our final decisions. Finally, don’t be surprised (or get too excited!) if you run into a Google Fiber crew doing work around your town, or see postings for local jobs on our Fiber team; before we make a decision about bringing Fiber to your city, we may do some exploratory work and recruiting so that we’re ready to start construction and operations quickly. We still plan to announce which cities will get Google Fiber by the end of the year. Back in February, we started working side-by-side with 34 cities in nine U.S. metro areas to explore what it would take to bring Google Fiber to their communities. Each city has been busy tackling a checklist of items to help prepare for a big local fiber construction project. We’ve been impressed by the enthusiasm and engagement of every one of these cities, and all of them have, for the most part, completed their checklists. , in Kansas City. Arts Tech has built a new program to bring together tech-savvy teens and seniors who want to learn about the web. When I talk to seniors — folks who are 65 or older — about the Internet, I get a mix of reactions. Some of them regularly rely on email, video chats and the web to stay in touch with family and find information. But most seniors I meet have rarely, if ever, used computers or the Internet before. So last year, when several local companies created the Kansas City Digital Inclusion Fund, the first-ever pool of money available here for nonprofits who want to close the digital divide, it gave me an idea. Of the people in Kansas City that don’t use the Internet at all, 44% are seniors — there’s a real need there. And on the other hand, 93% of teens use the Internet regularly — which presents a real opportunity. What if we could close a technological and generational gap at the same time? I pitched the idea of a cross-generational digital literacy training program to the colleagues and students I work with at my nonprofit, Arts Tech. My colleagues were excited by the idea; after all, it fits right in with our mission to help urban teens develop technical skills. But I was really blown away by the excitement and enthusiasm our teens showed. Dozens of them said they’d want to participate in a program like this. So we applied for, and received, a Digital Inclusion Fund grant — and today, 19 students from Hogan Academy are training to become intergenerational digital literacy experts. After students graduate from this program, they’ll be paired up with local seniors, to help them learn about the web in 1:1 or group training sessions. This isn’t a walk in the park for these teens; we’ve pulled together a pretty rigorous 60-hour training program. Instead of sleeping in on Saturday mornings, students join us to learn about computer hardware, in-home networking, the Internet and computer software. They’re also learning how to work with seniors, and how to develop their very own digital literacy curriculum (like planning classes on how to create email addresses, and how to use social networks to connect with friends) that they’ll be able to teach by the end of the program. My ultimate hope for this project is that its spirit of intergenerational learning spreads beyond our lab of laptops. Already, I’ve seen students, seniors and local partners pitch in to make this program happen. We all have a role to play, and working together I really believe that we can build a more digitally-inclusive community in which students, seniors and more are available to continually learn from each other. Ed. Note: Every day, nonprofits and community leaders across America do inspiring work to help their neighbors learn about the web, build digital literacy skills, get access to affordable computers and more. From time to time, we’ll invite some of these organizations to submit guest posts to our Google Fiber blog — starting today, with Dave Sullivan, the Executive Director of a nonprofit called Arts Tech, in Kansas City. Arts Tech has built a new program to bring together tech-savvy teens and seniors who want to learn about the web. connoisseurs across the US and came up with our brand new, Coffee-To-The-Home (CTTH) program. The key insight behind CTTH is pretty simple: as long as we’re already doing thousands of miles of construction to pull fiber lines throughout cities, why not invest in a coffee network, too? From now on, as we bring fiber throughout a city, we’ll also install pipelines that hook up homes to local baristas via a “hot beverage backbone” (HBB). The HBB will travel in parallel with our FTTH (fiber-to-the-home) network, to deliver CTTH. So, HBB + FTTH = CTTH. Easy. In order to activate your Coffee-To-The-Home feature (or, in Provo, the “Hot Chocolate-To-The-Home feature), simply download or open your Google Fiber App on your mobile phone or tablet, and click on “Coffee” in the menu. Then, just tap on the beverage you’d like. Your order will be sent to a barista, who will make your drink and transmit it back to you along the HBB. All you have to do is grab your favorite mug, go to your home’s new “Fiber Spout,” turn the nozzle and enjoy your made-to-order drink of choice. We’re piloting this service on a limited basis for customers now but hope to roll it out to all Google Fiber subscribers soon. For more information, or to sign-up for this new service,visit google.com/fiber/coffee. Update: April Fools! Unfortunately, we won't be delivering coffee to Fiber customers' homes — for now. But who knows what we'll be able to deliver with a gig in the future? We often hear stories from our customers about how Fiber has become a part of their daily lives — and one of the themes we’ve seen is that Fiber and coffee often go together. Whether folks are watching the morning news or reading email, it turns out that many of them often have a cup of coffee in-hand. This got us thinking — what if we could make it easier and faster for coffee-loving Fiber customers to enjoy both? We consulted java junkies, renowned roasters and cupping connoisseurs across the US and came up with our brand new, Coffee-To-The-Home (CTTH) program. Provo: new Fiber deadlines are coming up! for a one-time installation fee of $30. 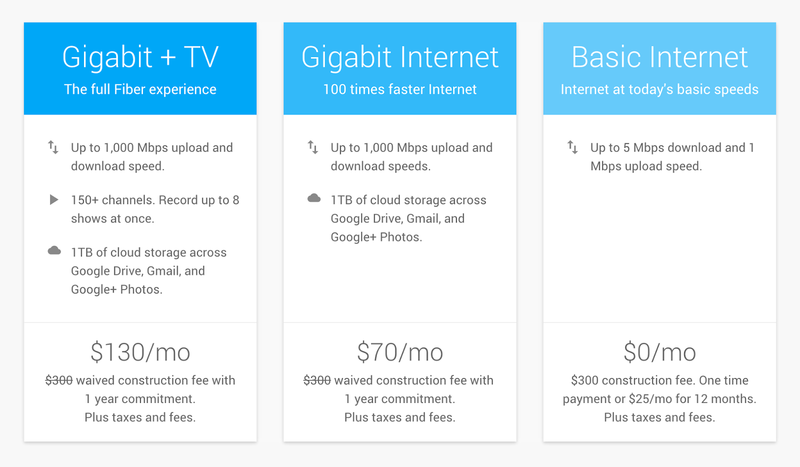 If you want access to high-speed Internet, you can choose the Google Fiber Gigabit Internet plan, which is up to 100 times faster than basic broadband, for $70/month. But if you just want basic Internet — or an affordable fiber connection that will “future proof” your home so you can get faster speeds later — you can get our “Free Internet” plan which will give you basic speeds for just the $30 installation fee, and no monthly cost after that for at least 7 years. Of course, if you have questions about any of this, we’d love to chat. Our Fiber Space, in the Shops at Riverwoods, and our Customer Service Center, at 250 W. Center Street, are set up with demos and are fully staffed with Fiber team members who can help you sign up, or answer your questions. If you can’t visit us in person you can give us a call or chat with us online, 24/7. If you live here in Provo like me, you’ve known about the benefits of fiber-optic networks for a long time — back in 2000, our city had the vision to build a fiber network when only 3% of Americans had access to the web at home. Unfortunately, not everyone had the chance to get hooked up to the network back them. So now, we’re offering Provo residents the chance to get hooked up to Fiber for a one-time installation fee of $30. Then, it’s time to encourage your neighbors to sign up for Fiber, too! 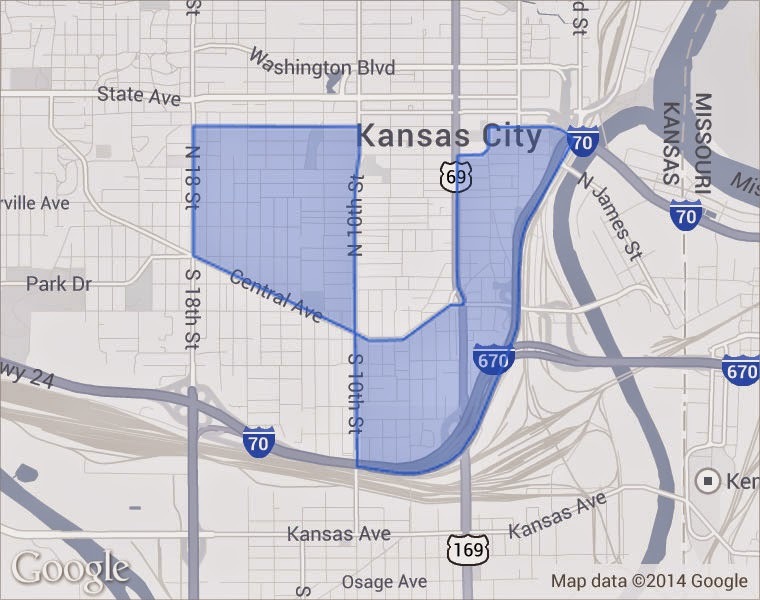 We’ve clustered homes across the KC area into small groupings called ”fiberhoods” (you can see which fiberhood you’re in on our website). 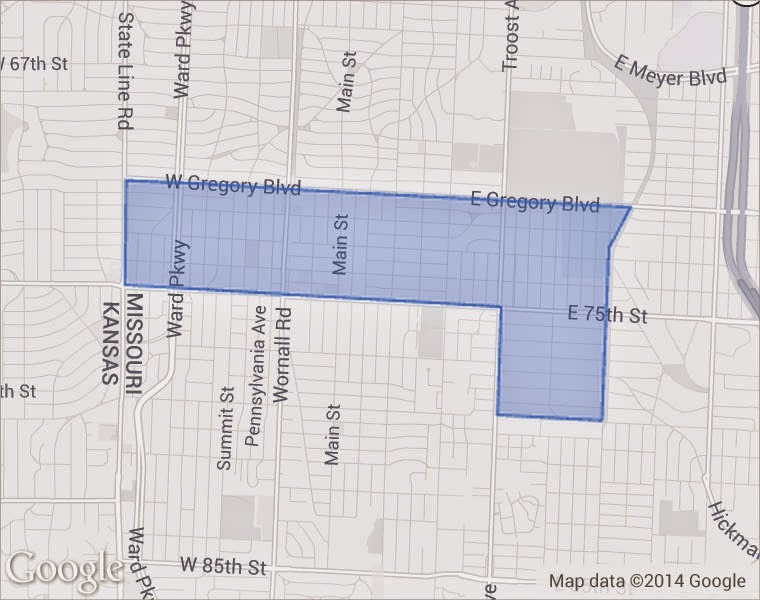 Your fiberhood has a goal — a certain number of homes that need to sign up for Google Fiber. You’ll be able to see a real-time count on our website that shows you what your goal is, and how many more people in your fiberhood need to sign-up. If you and your neighbors meet this goal, we’ll aim to bring you Google Fiber by the end of this year. If you don’t meet this goal, we can’t commit to bringing Fiber to your area — which is why if you want super-fast Internet, you should help rally your neighbors to sign-up. There are lots of ways to spread the word. You can tell your neighbors about Fiber yourself, bring them to one of our events where we can answer any of their questions, or bring them by the Fiber Space in Westport (and now temporarily in Ward Parkway Mall, Santa Fe Center and Red Bridge Shopping Center) to see what Google Fiber is like. One important note: your fiberhood has a deadline by which you need to reach your signup goal. The deadlines are coming up over the next few weeks, so it’s important to sign up as soon as you can. We plan to start hooking up homes in these fiberhoods a few weeks after their deadlines, and expect to have all qualified fiberhoods connected by the end of this year. We are also extending this opportunity to the 21 fiberhoods in central KCMO and KCK that didn’t qualify for Google Fiber in 2012; these fiberhoods will have until June 19 to tell us they want Fiber. You can help us get to your fiberhood soon, by signing up this afternoon and telling your neighbors to sign-up, too. We’ve already pulled nearly 6,000 miles of our fiber-optic cables throughout Kansas City— that’s about the distance across the Pacific Ocean from the U.S. to China—and now we’re ready to lay down even more! Residents in south Kansas City, Kansas City, north, Grandview, Raytown and Gladstone can start signing up this afternoon to bring Google Fiber to their communities. The Gigabit Internet plan will give you an Internet connection that’s up to 100 times faster than basic broadband for $70/month. The Gigabit Internet + TV plan will give you access to hundreds of TV channels, a storage box that can record up to 8 shows at once and hold up to 500 hours of HD content, plus an ultrafast Internet connection, for $120/month. The Free Internet plan will give you basic broadband speeds (up to 5Mbps download, 1 Mbps upload) for a one-time, $30 installation fee, then no monthly costs for at least 7 years. After you choose your plan, we’ll need to bring a brand new fiber-optic cable directly into your home. We can’t install fiber to everyone in Provo all at once, so we’re going to work in waves, starting with the North Park area next month and finishing in the Foothills area hopefully by the end of this year. If you’re in the Grandview, North Provo, Southeast Provo or the Foothills fiberhoods, we’re planning to bring Fiber to your area later this spring and summer and we’ll post your deadlines on this blog as we get closer to them. If you're in Provo, you can also sign up to get email updates — plus a Google Fiber mug. For those of you who are still customers of Veracity Networks and missed your early-access opportunity to get Fiber, you can go to our website now and sign up, too. Your deadline to choose your Google Fiber plan is February 28. Have questions? You can always call us up or get in touch with us online — but starting this Friday (Jan. 24th), you can also come see us in-person at our brand-new Fiber Space in the Shops at Riverwoods. 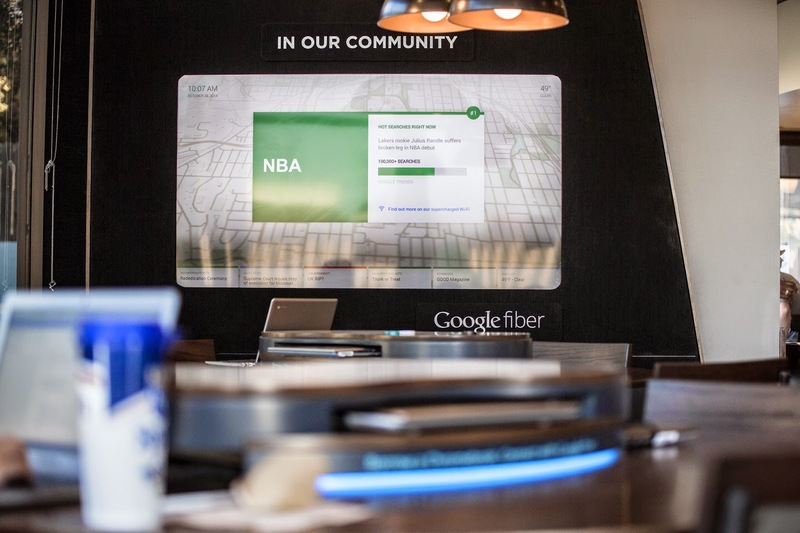 The Fiber Space has several demo stations set up where you’ll be able to see just how fast Google Fiber is in-person, plus play around with our TV service and test out the different devices that will come with Fiber. We’d love to answer any of your questions or help you sign-up for Google Fiber!